The Moor rugs are the second series of rugs designed by All The Way To Paris produced by &tradition. 85% pure New Zealand wool, 15% viscose. This time, ATWTP’s departure point came from the various shapes of gemstones. “We wanted to focus solely on the shapes, colours and textures – without any patterns,” notes Tanja Vibe and Petra Olsson Gendt, Founders and Partners at ATWTP. “For us, a rug brings all the elements of a room together in harmony, creating a feeling of closeness.” The result is a compelling sense of cohesion. Especially when you arrange all the rugs together as a cluster of gemstones. 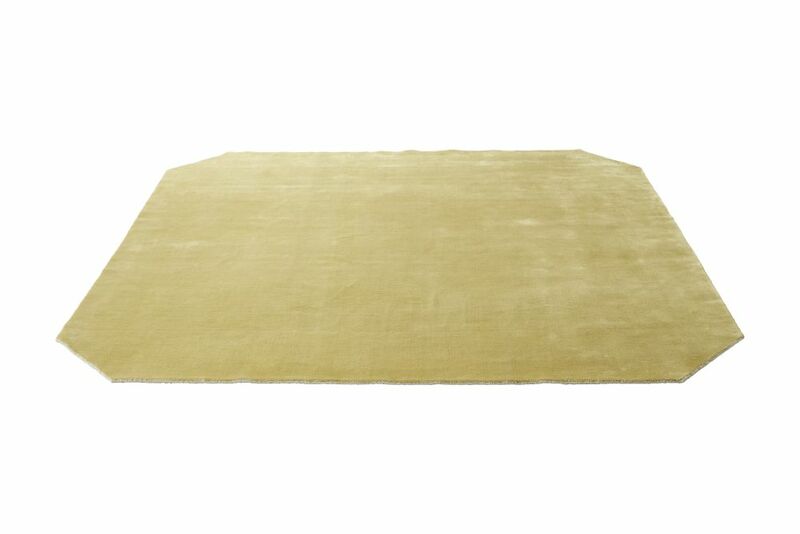 The rugs have a subtle shimmer to the surface to echo the qualities of a gemstone. to rugs, fabrics, intriguing design objects and interiors. For founding partners Tanja Vibe and Petra Olsson Gendt, their raison d’être stems from a Scandinavian no-nonsense approach to design, where they con- tinuously seek to eliminate the unnecessary.